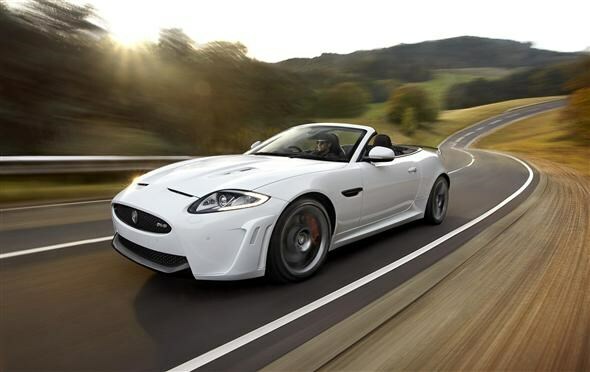 Jaguar has taken the roof off its XKR-S to create the fastest and most powerful drop-top the company has ever built. 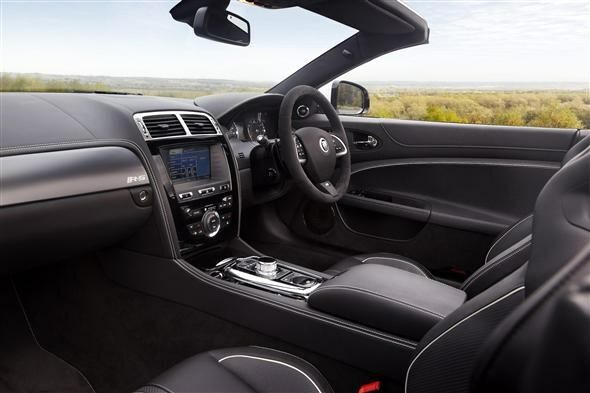 Unveiled at the Los Angeles Motor Show, the convertible version of Jaguar's top sports car has the same 5.0-litre supercharged V8 engine as the Coupe model. It produces a rather hefty 542bhp. This all translates to a rather rapid 0-60mph time of 4.2s, and a top speed of 186mph. Just as important as the convertible's speed is how long the roof talks to fold away – a more restrained 18 seconds. 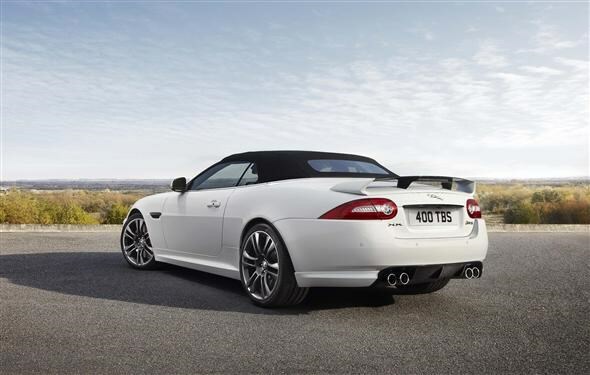 To go with the usual company hyperbole, the manufacturer claims the XKR-S convertible offers explosive performance, involving handling, relaxed comfort and discreet luxury. Which all sounds fantastic. It certainly looks the part. It gets a new front bumper design with a wider and lower air intake compared to the Coupe version, while rather sizeable 20-inch wheels come as standard. It also rides 10mm lower than the Coupe, boosting its aggressive looks. To keep all those noise enthusiasts happy there’s also a performance active exhaust that, as well as releasing more power and torque, should also give the car a distinctive burble. It’s not all about show though. This version gets revised front and rear suspension which reputedly increases the car’s agility, precision and control without compromising the comfort. There’s plenty of carbon fibre used to keep weight down to maximise performance further. If you’re splashing out on this car you won’t be worrying too much about costs, but with emissions of 292g/km you’ll be paying £1,000 tax in the first year and £460 thereafter. The first deliveries in the UK are set to start in the first quarter of 2012, with prices starting from £103,000.